The area of Osu is one of the most popular areas of the city for shopping, a kind of shopping which is diametrically opposite to that of the area of Sakae with its huge shopping malls and department stores. 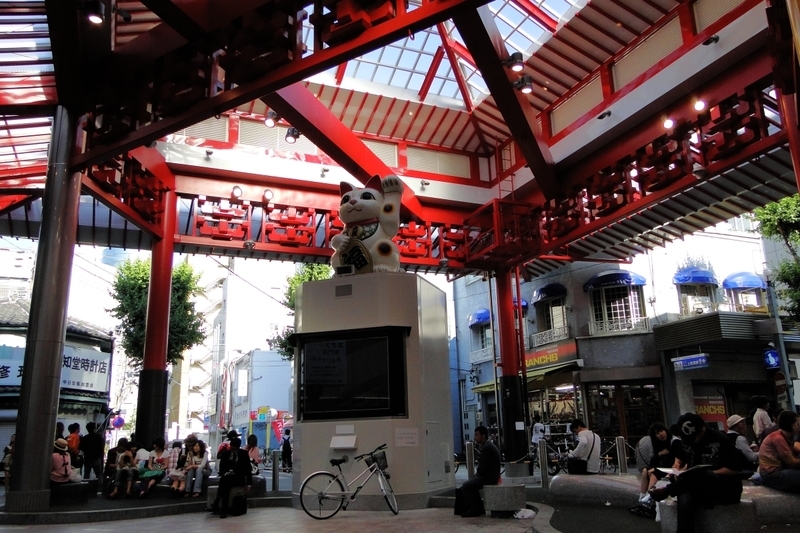 The heart of the commercial area of Osu is in some long covered shopping galleries (the typical shotengai) with about 400 shops and restaurants. Someone calls this area the "Harajuku" of Nagoya because of its alternative youth fashion and second-hand shops, someone else calls it the "Akihabara" of Nagoya because of its electronics, video games, manga, and action figures stores. In fact I wouldn't call it neither the one nor the other, Harajuku and Akihabara are two much bigger worlds. 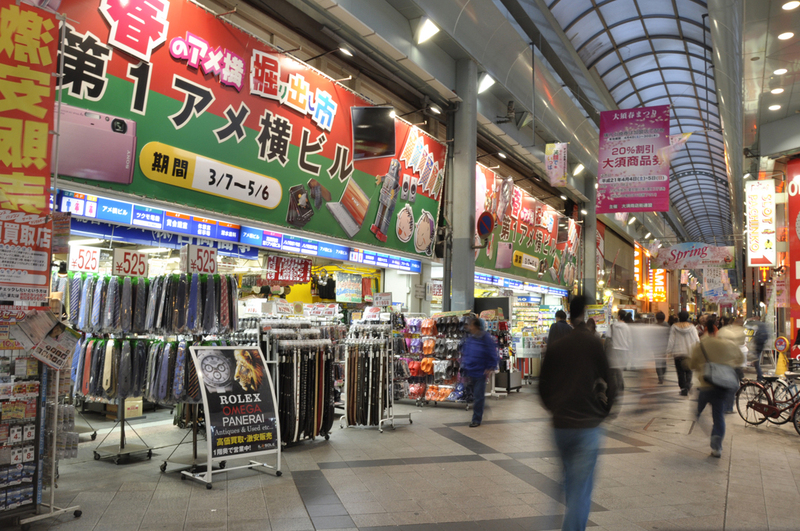 In this area there are shops selling everything and more, it is true that there are many youth fashion shops, otaku and electronics shops, but there are also many restaurants, supermarkets, small grocery stores , pachinko parlors, game rooms, household items, clothes for all ages, barbers, hairdressers, etc. 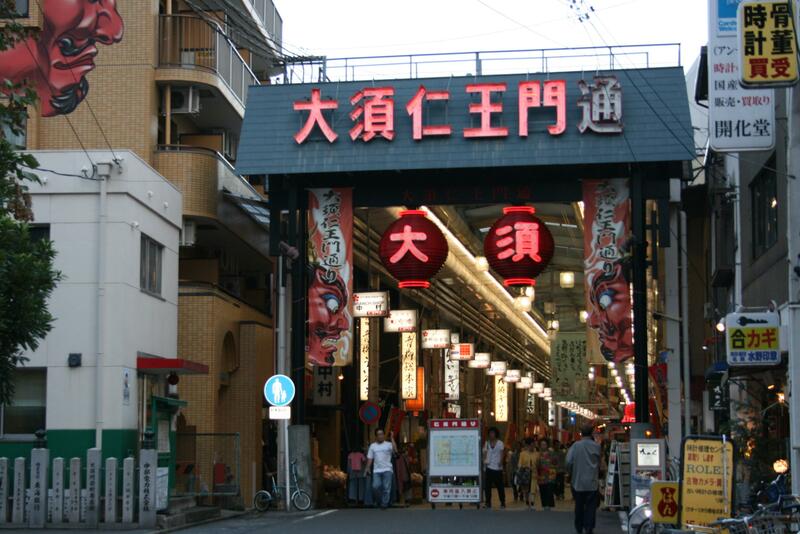 The main shopping streets are Banshoji Dori, Niomon Dori, Shin-Tenchi Dori and Akamon dori. One of the most popular Buddhist temples in the city of Nagoya. 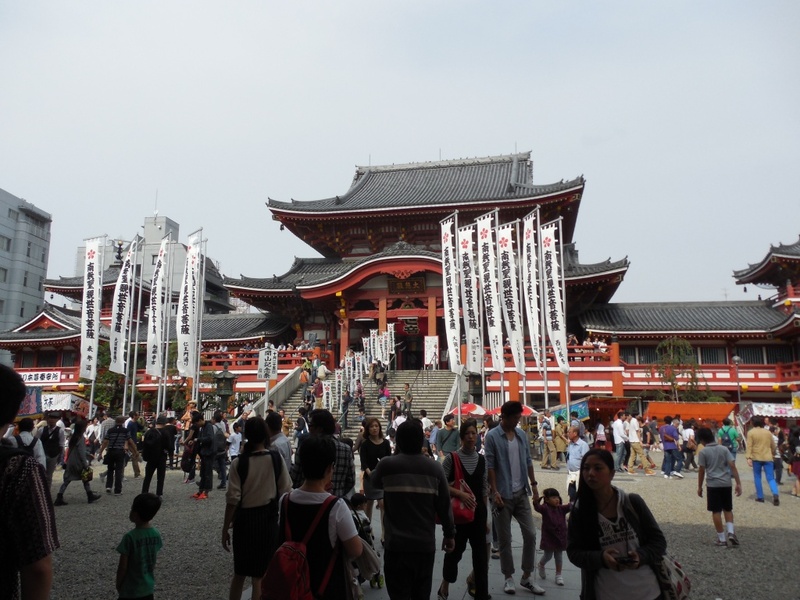 In fact, rather than a Buddhist temple, the Japanese would call it "Jingu-ji", i.e. a sacred place that mixes elements of Buddhist and Shintoism. This temple was moved to the current location in 1612, but had been built many years ago, around 1333 in a place then called Osu-go (from which it derives the name of the temple), and corresponds to today's Hashima, in the prefecture of Gifu. The current buildings are still a reconstruction of 1970, as the temple was destroyed by fire many years ago. Inside the temple is kept a valuable statue of Kannon realized by Kūkai. The temple also has a library which houses a vast collection of ancient texts, including the oldest existing copy of the Kojiji. Finally, a small flea market is held twice a month (18 and 28) on the grounds of this temple. Osu is one of the city's more full of restaurants neighborhood, including many of international cuisine. Being also a place of destination for otaku, in Osu you can find also a maid cafe (M's Melody). Last but not least, for those looking for "only in Japan"-places I point out the Cat Cafè MyCat. Very few hotels in this area, you can find a much wider choice in the nearby area of Sakae. Kamimaezu station (Meijo line) is very close to the entrances on the east side of Banshoji Dori and Niomon Dori. Finally, the area of Sakae is not very far from Osu, you can safely and easily reach it on foot. Sakae station is about 1,2 km far from the northernmost entrance of Shin-Tenchi Dori.